Muiris is adjunct professor of medical humanities at Trinity College Dublin; he also teaches a narrative medicine module to medical students at NUI Galway. Muiris is also writer in residence for Evidence Synthesis Ireland, a HRB backed project based in the Department of Nursing and Midwifery at NUI Galway. He is especially interested in the stories patients tell, which has led him to complete a Masters in Medical Humanities at the University of Sydney, Australia. 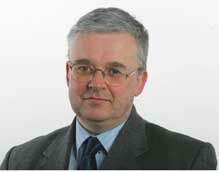 He is also an award-winning medical journalist and health analyst with The Irish Times. He also writes for the Irish Medical Times and the British Medical Journal. A regular contributor to TV and radio, he has made a number of radio documentaries and TV programmes.